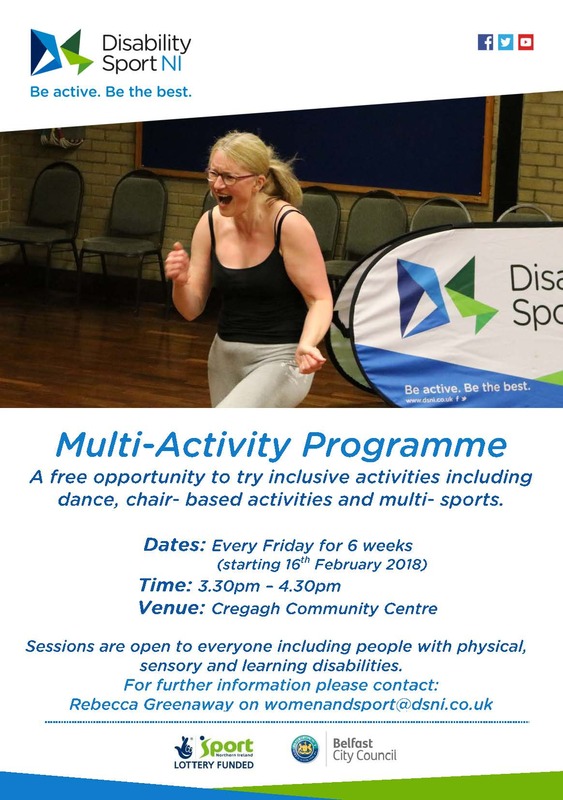 A free opportunity for people with physical, sensory and learning disabilities to try inclusive activities such as dance, chair-based activities and multi-sports. For further information please contact Rebecca Greenaway on womenandsport@dsni.co.uk. These sessions are funded by the Sport NI, National Lottery funded programme, managed by Belfast City Council and delivered by Disability Sport NI.